The song Ave Verum Corpus was written by Michael Byrd in the 15th cerutny. It was meant to be part of the church service, but this piece of music wasn’t allowed inside of the chrch during this time. The name of this chant translates into Hail True Body. While listening to this chant, I heard a four part harmony. There was a high part for men, a low part for men, a high part for women, and a low part for women. All of the words were in Latin, and the verses mostly came in with the low voicees starting. No instruments were allowed, but they made their voices sound like an organ by singing in different tunes. All of the words were dragged out, and it was very slow.Normally, I wouldn’t listen to this type of music, but I found it to be very relaxing, and it made me tired. I think I would only listen to this music if I wanted to try to relax and fall asleep, but otherwise, it is too boring for me to listen to. 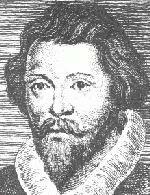 The song Ave Verum Corpus was written by Michael Byrd in the 15th cenutry. It was meant to be part of the church service, but this piece of music wasn’t allowed inside of the chrch during this time. The name of this chant translates into Hail True Body. While listening to this chant, I heard a four part harmony. There was a high part for men, a low part for men, a high part for women, and a low part for women. All of the words were in Latin, and the verses mostly came in with the low voicees starting. No instruments were allowed, but they made their voices sound like an organ by singing in different tunes. All of the words were dragged out, and it was very slow.Normally, I wouldn’t listen to this type of music, but I found it to be very relaxing, and it made me tired. I think I would only listen to this music if I wanted to try to relax and fall asleep, but otherwise, it is too boring for me to listen to. Ave verum corpus has no ineturmsnts. There are only vocals. It was written for church sevices in the 15th century. A whole choir is actually singing the song.I hear a lot of people singing. I hear some low and high notes. I hear 2 different things being sung at once. There are also some people singing low and high notes at once. I sounds like the halo music in the beginning. it sounds very soft and very in order.I do not like this song at all. It really stinks and sounds really bad. the song does not appeal to me at all. It is too slow and to much of what sounds like humming. This type of music is just too old for me.